Bring some energy to your sports hall. Promote an active lifestyle for your students. Movement is a key factor in living a healthy and happy life. The physical benefits are obvious, but we also know that activity and movement can help our mental and social wellbeing as well. That's why we created this Movement Wonderwall to challenge students to try different sports and get moving! It's crucial for us that each Wonderwall we design has a clear learning objective attached to it - that's why we have created these rich, typographical versions of each activity so you can add the information you want to teach. 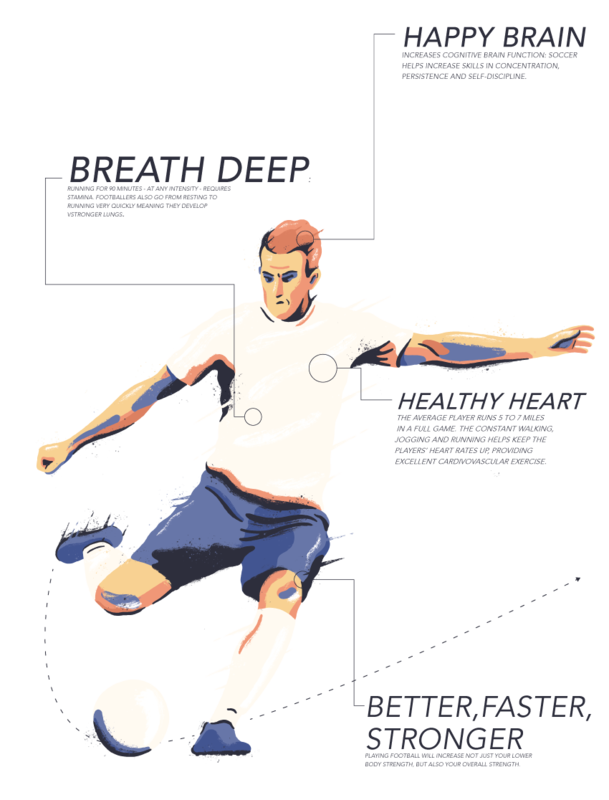 In this example we're breaking down the health benefits your students will gain from participating in each sport but you are able to customise these graphics to go into any details you would like. Why not include tips on technique? Or how about extra physiological information and diagrams? The right sport for your school. Whether your school is cricket focused, have an amazing volleyball team, or want to raise the next star footballers - we have the illustrations for you. Movement can also be changed to any scale, composition and colour palette to better represent your school's sports teams and colours. Not just a wall graphic. Sometimes a wall graphic just isn't the right option for you - that's why we've made all our Wonderwalls available as banners and posters as well. All our Wonderwalls are adjustable to suit your space and budget, so why not get in touch to discuss the best way to bring Movement to your school.